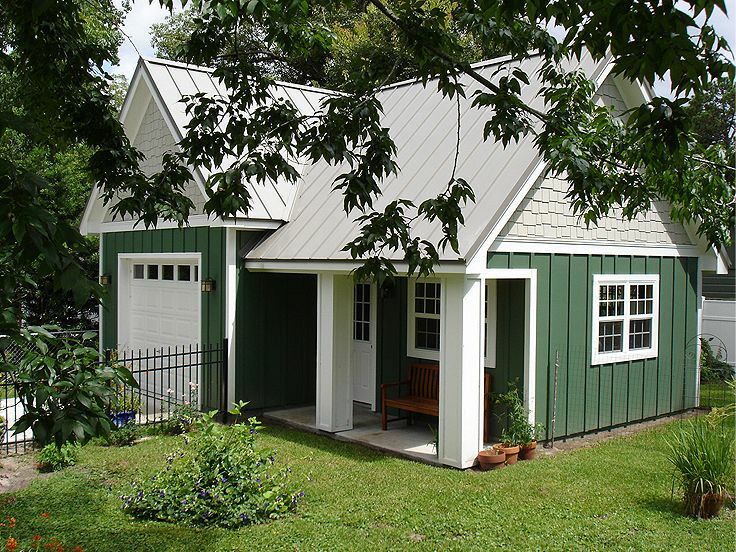 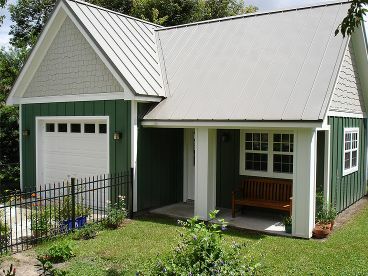 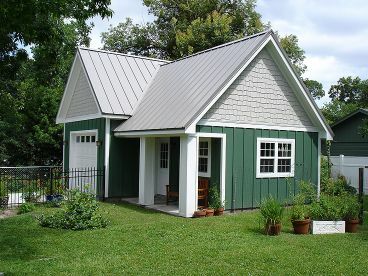 A front facing gable and a covered porch lend this garage workshop plan plenty of charm ensuring it will blend neatly in your backyard. 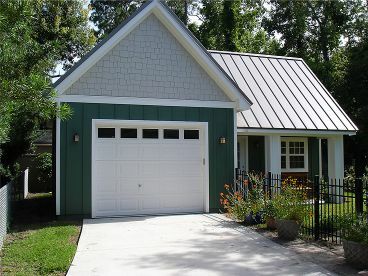 A single overhead door opens to the 1-car garage enhanced with a 10’ ceiling. 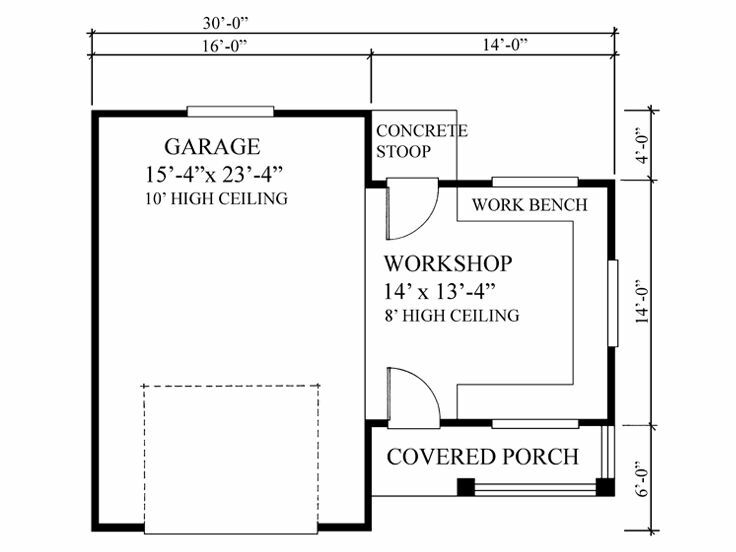 The workshop area is a handyman’s dream with wrap-around workbench delivering plenty of space to tackle DIY projects. You’ll appreciate the front and rear service doors making entry and exit easy. 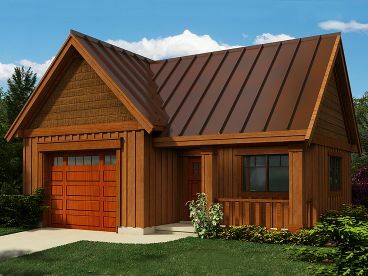 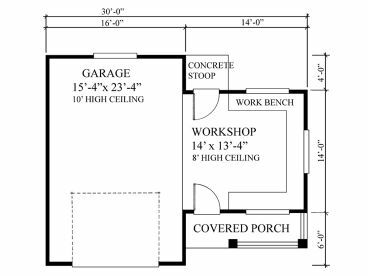 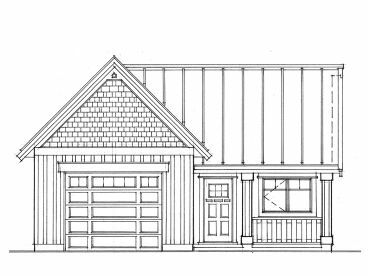 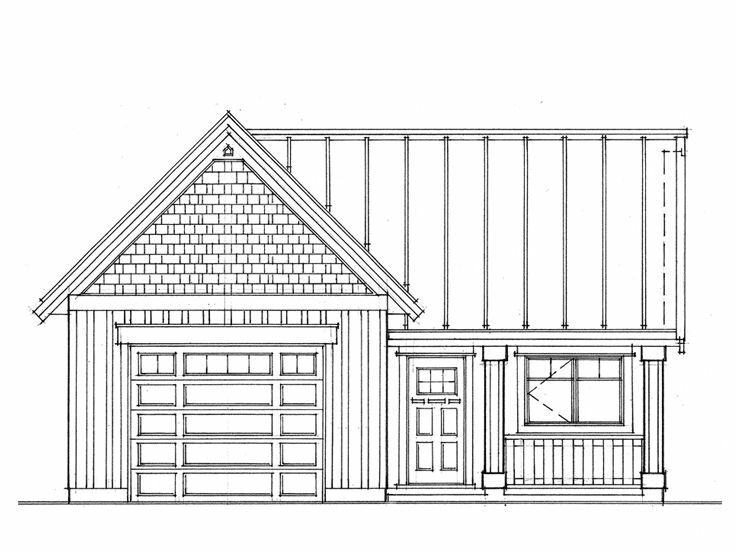 Designed with 580 square feet of usable space, this 1-car garage workshop plan is practical and efficient.